My name is Alex Dealy, and I’m living the time of my life, every day. I’m originally from San Diego, California, but intend to call many different places my home during my lifetime. I currently live and work in Lima, Perú. I believe that everyone makes an impact in the world, and that everyone has the ability to inspire change. Everyday I learn more about the world around me, and where exactly I fit in. 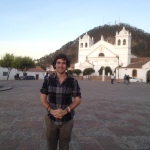 Previously, I fit in working as the Director of Communications and Community Outreach at Sustainable Bolivia. After finishing my contract, I decided that I wanted to continue living in Cochabamba, working independently, and taking the time to continue developing my skills. After a full year of 24 hour-a-day hustling, I had picked up all of the skills that I needed to become a full-stack online marketing and SEO consultant. I work with two marketing agencies, host a handful of small websites, live location independent, and have contributed to cool projects like NomadList. Before that, I had contributed to projects in Market Access, Education and Independent Radio. I’m also interested in Social Enterprise, Diplomacy and Micro-finance. My photography has been good enough to be used without attribution on three continents and I’ve contributed to initiatives in Market Access, Education and Independent Radio. Also, my unrelenting love for Bolivian trancapechos gave me food poisoning so bad it would have killed me on the Oregon Trail. This space is a forum for me to share my story of where I am, and where I’m going. Feel free to come along for the ride, I’d love to have you aboard! Get in touch via my contact page.